The mosque that is situated just steps away from the home of the man who used a rented truck to kill 8 people and hurt 12 others in New York City has received several threats via phone over the past two days, according to police. Authorities did not reveal the nature of the threats. It’s not clear how many total threatening phone calls Omar Mosque received since the Oct. 31, 2017 attack. “All threats you have to take seriously in this day and age,” said police director Jerry Speziale. Police dispatched a detective, a patrol unit, and a supervisor to the mosque, he said. Police have notified the Passaic County Prosecutor’s Office and U.S. Department of Homeland Security, said the director. The threats were made after reports surfaced that the attacker, Sayfullo Saipov, who lived steps away at an apartment on Genessee Avenue, worshiped at the mosque. It’s not clear whether he worshiped at the mosque. Some of his neighbors stated he did while some worshipers said he did not. He was inspired by ISIS propaganda videos to carry out the attack on Halloween to maximize the carnage, said authorities. 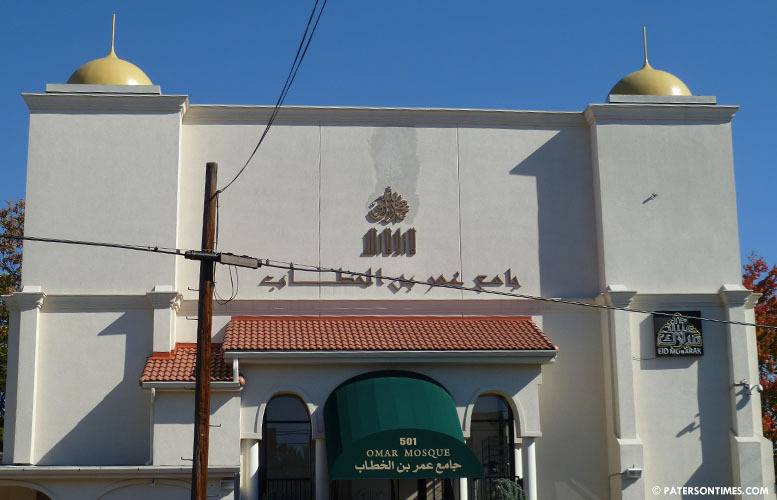 Mosque officials could not be reached for comments on Thursday afternoon. The New Jersey chapter of the Council on American-Islamic Relations (CAIR) urged state and federal law enforcement agencies to investigate the threats as a possible hate crime. This report was updated at 2:14 p.m.
For all of you who truly believe this occurance happened with allegiance to ISIS, you’re highly mistaken. ISIS is an american backed organization established by ISREAL. The Jews are behind all ISIS attacks. This man was never a person of this mosque. Hes a person who many paterson citizens have never seen before. This was a planned and organized attack setup by a intelligence organization. Please research before listening to the local news. The US govnt already got caught paying millions to a British firm for false ISIS propaganda. CAIR is a terrorist front group, and you are a Muslim using a fake name to spout anti-semitic propaganda. Dominick, you Polack who thinks he knows how informed he is but yet you’re truly misguided my friend. Take a step out of this mocassins made for Polish winters and step into the shoes of anyone that is DIFFERENT than you. You’re right, i am a muslim, but tht doesnt change any truths to what i said. What should change is your beliefs and narrow mindedness thats so evident in your comment. Maybe you want to direct that focus of being informed into the right truths. Lets face it, you’re white, most likely a christain, and therefore a neanderthal that is lost in this life. It saddens me that we steal deal with the likes of you. You sound like an alt-right white man who hates his life, lives in neighboring town of Hawthorne and grabs his coors light at night on his 1 seat sofa and watches CNN and FOX news to see what going on in the world.